Today’s Cooking With TechyDad is a two for one deal. 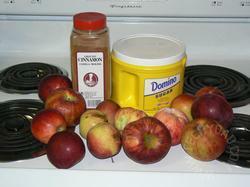 You might recall a few months back when we went apple picking and came home with a ton of apples. Well, they didn’t go to waste. (For the most part. A few wound up getting tossed when they went bad.) 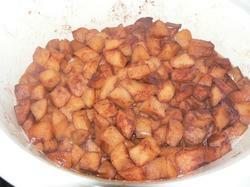 I made, among other things, homemade applesauce and crispy apple skins. 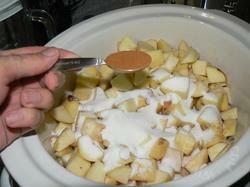 Let’s start with the apple sauce. 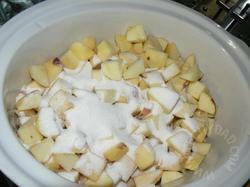 First, gather your ingredients. 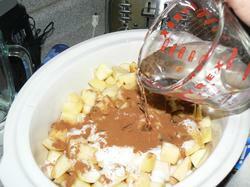 Apples, sugar and cinnamon. 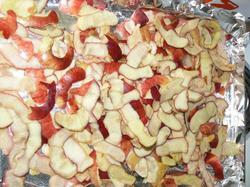 Next, peel and chop your apples. Don’t discard those skins, though. We’re going to use them later. 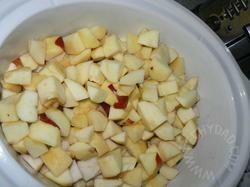 Put the chopped apples in a slow cooker. 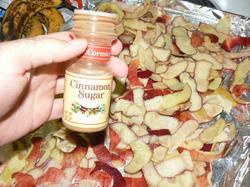 Add in a cup of sugar, a teaspoon or two of cinnamon, and a cup of water. Next, cover and cook on low for 8 hours. When you’re done, enjoy warm or cold, by itself or over ice cream. Oh and the juices released make a wonderful drink all on their own! 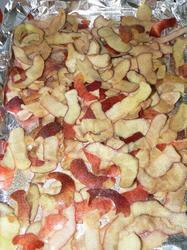 Now on to those apple skins. 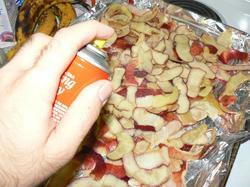 Cover a baking tray with aluminum foil and spray with cooking spray. 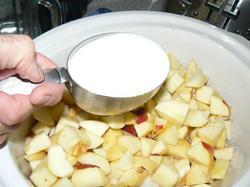 Place the skins on the tray and spray them with cooking spray. 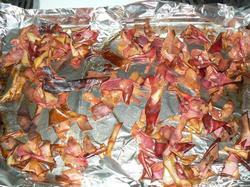 Bake in the oven at 350 degrees for about 30-40 minutes until the skins get crispy. You’ll want to flip them over every few minutes to keep them from burning. When you’re done, let them cool and then enjoy!